The next-generation Xbox console sold over 311,000 units across the United States in March, outpacing the Xbox 360 in the same period. On Thursday, Microsoft announced that over 5 million Xbox One consoles were shipped since the November launch to retailers. While that number is good, its rival Sony has sold over 7 million consoles of PlayStation 4 across the globe in approximately the same period of time. Sitting in second place has not hurt the mood of Microsoft though. In a recent blog post Yusef Mehdi, the chief strategy and marketing officer celebrated the progress of the next generation console that has already outpaced that of Xbox 360 over the same period. Mehdi wrote that what was more important to the company was seeing the amount of fun its users were having spending more than five hours on average per day using the machine and collectively capturing over one billion hours in apps and games on the consoles. The strategy officer also said Microsoft was thrilled to see the use and the enjoyment of the latest apps and features that have been released adding to the regular system updates. The company has broken its usage records with the amount of unique broadcasters on Twitch in the first week it was available. 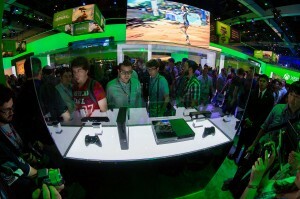 Gamers however have not given up use of the older console however, According to an Internet research group, there were over 111,000 units of Xbox 360 sold in March, which is more than all other seventh-generation consoles. Between the Xbox 360 and Xbox One they have sold the most games across the console platforms totaling more than 4.1 million. Combined the two units earned more than a 49% share of the entire software market last month. As the sales wars for console continues, Redmond, Washington’s Microsoft promised to have further announcements that will come out alongside its regular improvements and the new features based upon feedback from users.